White teeth are extremely attractive. When you meet someone with smiling face, your pearly white and bright teeth automatically help to drawn person towards you. Not only to attract someone but oral hygiene is also important for your overall health. Brushing properly, flossing and using mouthwash are basic to maintaining good oral hygiene. But sometimes even after brushing regularly, mineral salts and bacteria start setting on your teeth. This is known as plaque which over time turns into tartar. It is a soft film of bacteria that covers your teeth, tongue, crowns, and gums. But you have no need to take medicine or run to a dentist, you can deal with it a home. 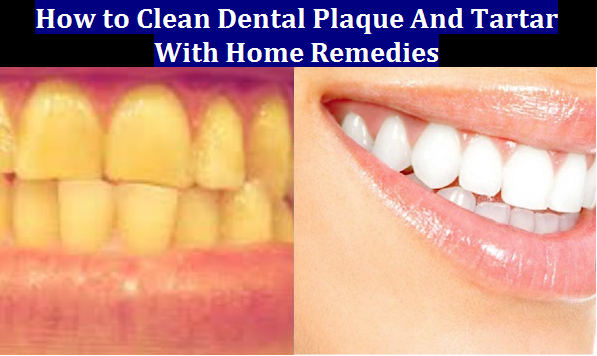 Yes, you can remove plaque and tartar at home with the help of these natural home remedies. Take a look. Baking soda can help to break down plaque on teeth. Its antibacterial effect soothes the teeth and gums. It restores the pH balance in the mouth cavity. Mix baking soda with salt, then dip a toothbrush in the mixture. Gently scrub your teeth with it. After that rinse your mouth with water. Just note that excess you can harm tooth enamel. You can use it twice a week. Once the plaque is cleared, you can continue to use this remedy once every 7-10 days. If you are thinking, how to clean dental plaque then Aloe Vera is a better option. It is bitter but its antimicrobial properties help to get rid of brown plaque and tartar causing bacteria. It contains antioxidants that can heal teeth and gums by removing bacteria. One teaspoon of aloe vera gel. 5 tablespoons of baking soda. Mix all the ingredients well and scrub your teeth with this mixture. Rinse your mouth thoroughly and remove all the paste. You can do this process every 3 to 4 days until you completely get rid of tartar. Also, remember don’t use it for a long period because glycerine can interrupt the mineralization process. 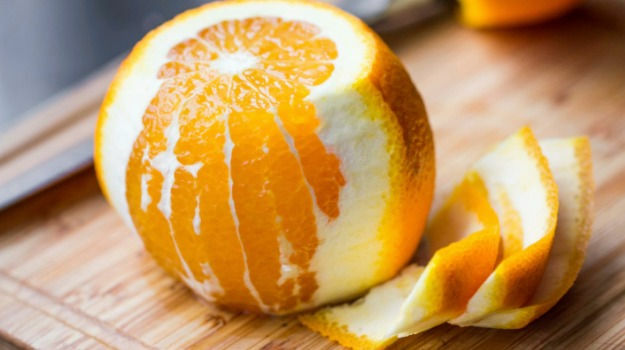 Orange peels help to fight the microorganisms in the mouth. You can use the peels directly on your teeth. It is a natural way to break down plaque on teeth and whiten tartar stained teeth. Just take a piece of orange peels. Rub it directly on the teeth for 3-4 minutes. You can also make a paste from orange peels to scrub your teeth. Do this twice or thrice a week. Vitamin C rich foods like strawberries and tomatoes are naturally antimicrobial and help to clean dental plaque by killing the bacteria in the mouth hence preventing tartar buildup. A small tomato or a strawberry. 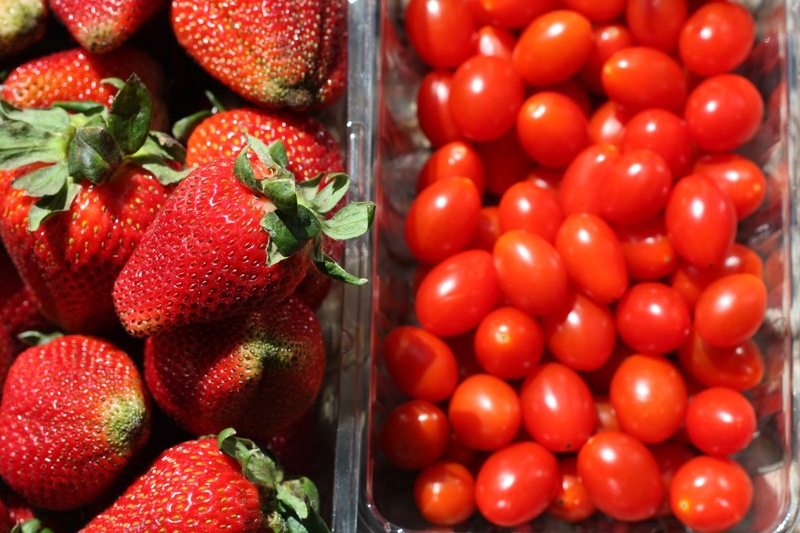 Chop the tomato or strawberry and make a pulp out of it and apply on your teeth and leave it on for 5 minutes. Rinse your mouth with lukewarm water. Repeat this two times a week. Eating spicy food is another easy way to remove plaque from teeth. Eating spicy foods improves the secretion of saliva in your mouth. 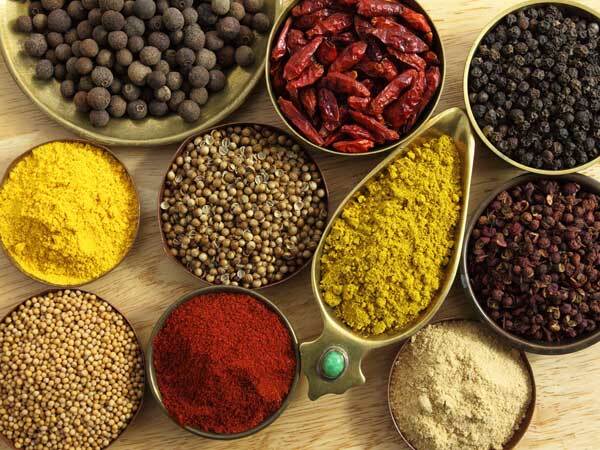 Spicy foods stimulate the salivary glands which help in cleaning teeth and gums. So chew some peppers to break down plaque and tartar from teeth. The fruit, as well as its leaves, help to clean dental plaque and tartar naturally. They have excellent anti-plaque, analgesic, and anti-inflammatory properties that help to get rid of brown plaque on teeth. Guava leaves reduce swelling and gum pain. 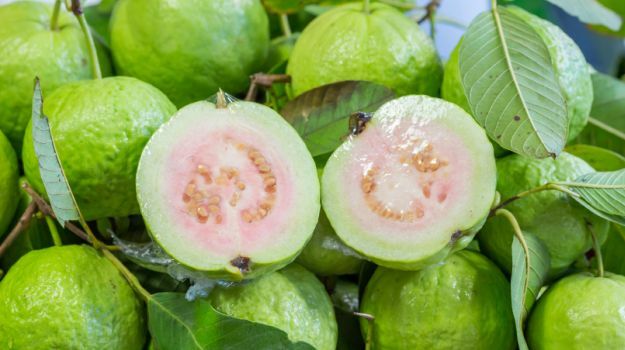 A 2014 study published in the International Journal of Current Microbiology and Applied Sciences showed that guava leaf extract causes a reduction in the adhesion of early plaque. Wash some guava leaves and chew them daily and spit it out. You can also take a piece of unripe guava, sprinkle salt on it and chew it slowly. Do this 1 to 2 times daily for a few days.